After going to doctors, physical therapy and massage… I still had headaches daily for years. I am now headache FREE and have my life back! I have so much energy. My life has been changed. I’m a happier and more productive person. I talk to everyone I meet about NUCCA and Stork Spinal Care. I had been troubled with insomnia for years. This resulted in almost constant tiredness. I was on medication and supplements to help, but it only worked for a few days. A friend told me about NUCCA care, and how her husband was helped from crippling back pain. I made the 150 mile trip to see the doctors as Stork Spinal Care and was very impressed with their professionalism and attention-to-detail. Within two weeks, my sleep was improving! Additionally, I’d like to say that good, health-restoring sleep is wonderful, but the great bonus to me from Dr. Stork’s work has been the end of the dreaded heart palpitations. Thank you from the bottom of my heart! I fell and injured my hip in 2004. I tried physical therapy, aqua therapy, cortisone shots, acupuncture and pain medications. My nephew, who practices in Florida, recommended I find a NUCCA doctor in Idaho. Following several months of treatments, my condition improved. I was able to discontinue the use of my pain medications and I retired my cane! 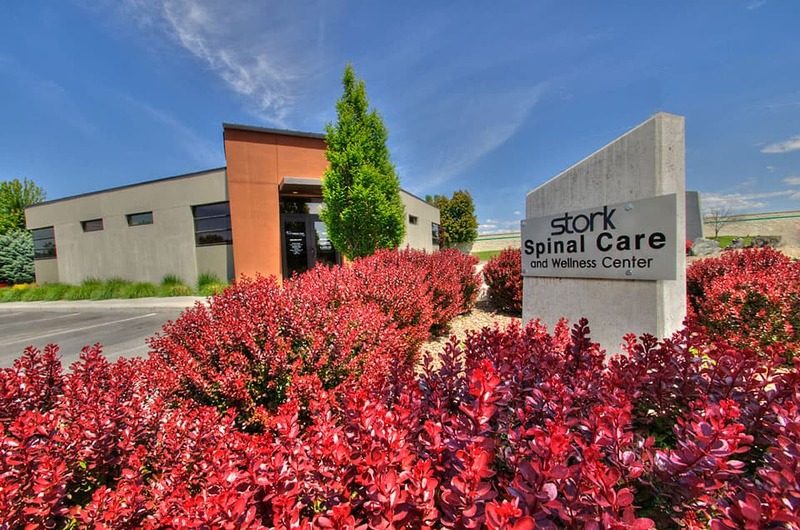 I recommend others who are sick, suffering or in pain to make an appointment at Stork Spinal Care. I have told several people about NUCCA and members of my family have also become patients. I declare this treatment as highly successful! My quality of life was poor. Two years after suffering a brain stem stroke, I was still suffering with side effects. My neurologist suggested I look for someone to help me heal myself. I found Stork Spinal Care in the Hedra newspaper and though, “chiropractors… been there, done that.” As I read the ad, I noticed a few things that NUCCA addressed applied specifically to me. I met with Dr. Mix, and she was very honest and upfront with her recommendations. I was still hesitant, but after the first adjustment I was truly amazed! And I barely felt the adjustment! My symptoms started receding and disappearing – the numbness that consumed my whole left side of my body was gone. The drop to your knees headaches, dizziness, nausea and vomiting was rapidly following suit. My quality of life was exciting again. I have placed numerous friends and clients under the care of Stork Spinal Care, and will continue to do so. I believe alot of people can do the science of their art, but not everyone can be kind and loving, compassionate and caring or so giving of themselves, as I find the Storks to be so consistently as they help you to heal your body. Thanks Stork Spinal Care! Doctors had been unable to diagnose or help with increasing pain and weakness I was suffering from for over two years. The most severe pain was in my neck and shoulders. I was never without pain. A friend of mine who had been diagnosed with Fibromyalgia had found relief from a NUCCA doctor in her area. I told my husband I was willing to try one more thing, and NUCCA was it. After a couple of weeks, I was sleeping again. Within eight weeks, the pain become very minimal. I seemed impossible that such a little adjustment could have such huge results! I am convinced the NUCCA care can and does help with such a variety of health problems that it is the first treatment to seek as well as ongoing care for wellness. NUCCA is safe, natural and pain free – and produces great results. NUCCA will continue to be the wellness plan for our family. I was living on (over the counter) medications to get by. After my adjustment, my neck pain was nearly gone, the swelling in fingers went away and I haven’t needed to take any pills. I am 59 years old – and I feel 20 years younger! I have lived in a clouded haze for so long. Who knew my neck was related to my brain fog. The clarity of my thinking has changed so much, in a such a short time. Thank you, Storks! Don’t Live With Pain – Get Relief That Lasts!